Rewind to Year 2010, If there was one of the most excited train travelers in the world, it was me! It was my very first time to travel long distance by train, something I’d never ever experienced yet in my home country, the Philippines. 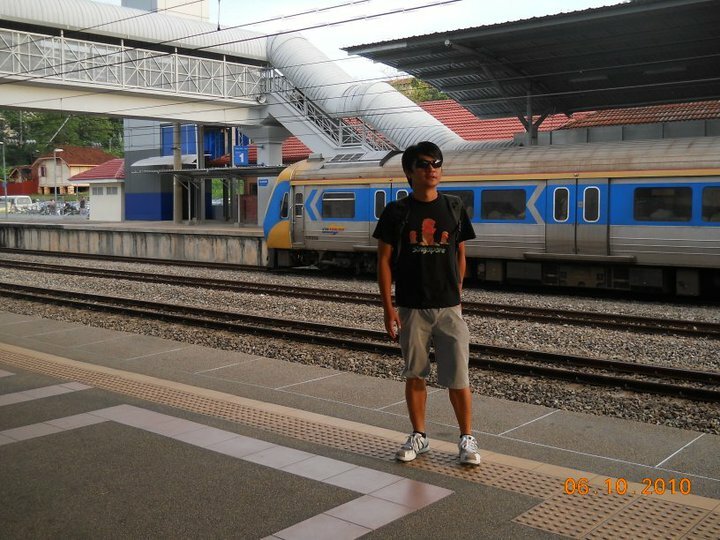 I was crazily talking to myself on the day when my High School classmate sent us to KL Central Station ready for our long distance train travel from Malaysia to Singapore. Our kind and generous HS classmate who invited and welcomed us to stay in her relaxing and spacious condo in Kuala Kumpur. It was all about fun and adventures! High School classmate who we only met again after 18 long years! At times, we have to go somewhere to experience spectacle! If you are considering traveling by train from Malaysia to Singapore or vice versa. You can get a KTM ticket at KL Central Station or you can book online at https://www.ktmb.com.my/. Be prepared for a 7-hour trip from Malaysia to Singapore. If my estimation was correct, its speed was 140 kmh. How much was the train fare? Was it safe to travel by train? Was it hassle-free crossing the boarder of Singapore? It was, we just presented our passports. The immigration officers basically asked of our intention of crossing the border, we just replied that we were visiting a friend in Singapore. Pingback: High Speed Trains are in East Asia – YAPAK PINOY – "Just go if you feel like going"
Pingback: Deutsche Bahn ICE High Speed Train (Germany-Belgium) 2016 – YAPAK PINOY – "Just go if you feel like going"